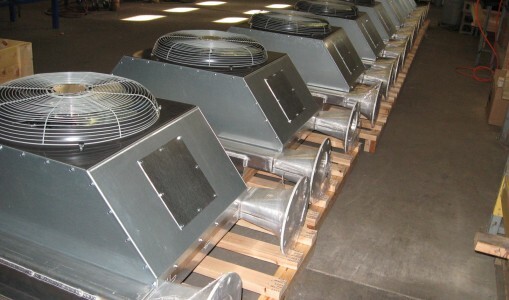 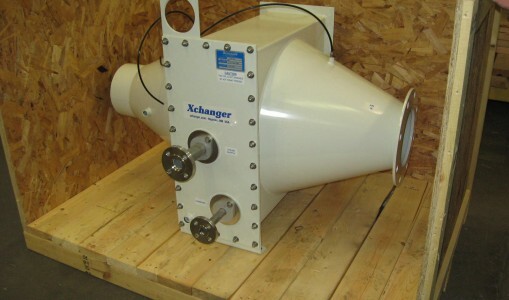 The pictured C Series heat exchang er with an 80″ inlet and 95″ outlet connection is installed on a large emissions control stack rated for a 15 PSIG design. 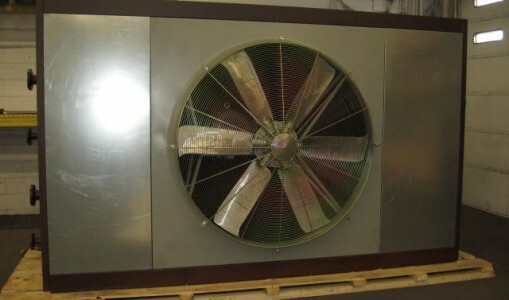 The unit includes two steam condensing cores with casters on rails and a removable cover to easily remove the cores for cleaning and other maintenance. 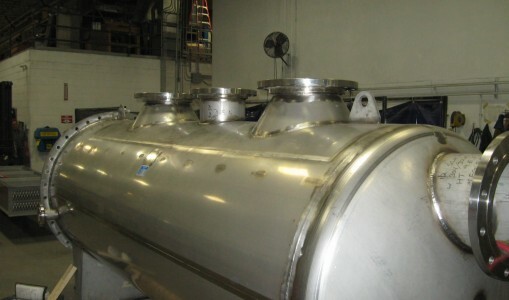 This heat exchanger is complete with four large inspection ports located both above and below the steam core. 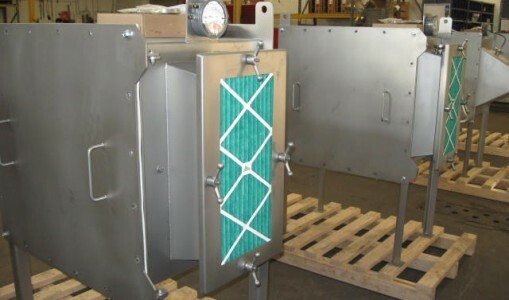 The inspection ports and steam core covers include reusable cut gaskets. 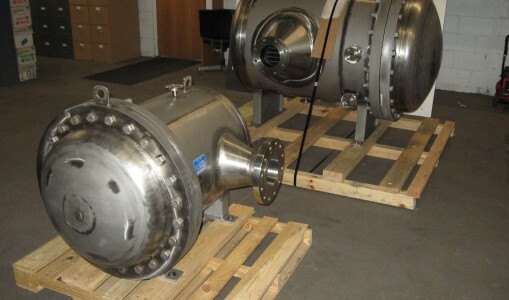 The housing is constructed from 316 S.S. and the tubes and other piping used in contact with the steam is a AL-6XN, a super-austenitic alloy used in corrosive environments, due to the chemicals in the gas stream. 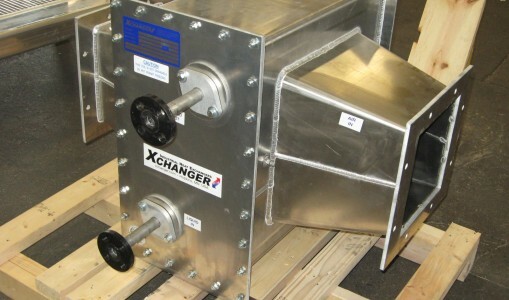 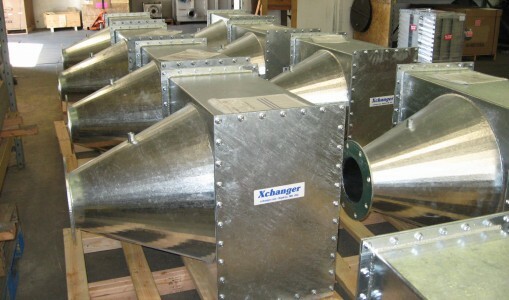 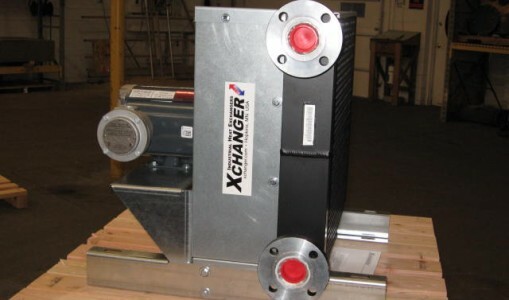 This heat exchanger assembly was shipped air freight to South America. 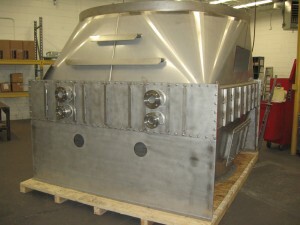 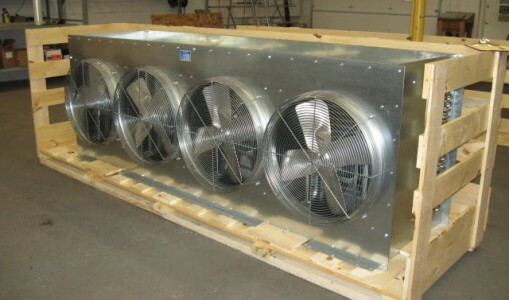 The unit is so large that the 95″ outlet flange and the access panels for the top portion of the housing were shipped separately to be welded on site due to size constraints with shipping.